Imagine a pea-sized object hitting your roof at over a hundred miles per hour. Now imagine that pea-sized object growing to about the size of a baseball. Hailstones often hit your roof at these speeds. Even for newer roofs, they can pack a lot of punch: denting metal roofs, cracking shingles, or outright knocking the covers off your roof and sometimes, the damage isn’t as obvious. 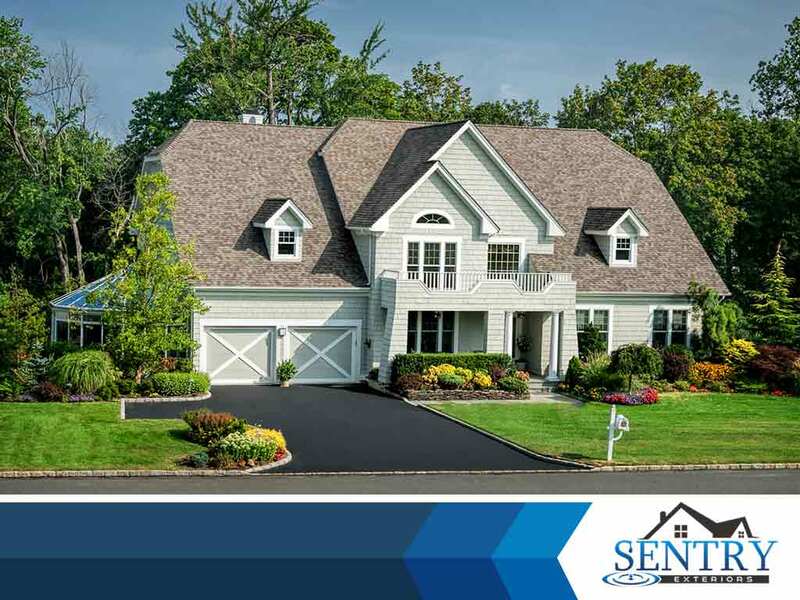 That’s why, as one of the best exterior, roofing and gutter companies in Virginia, Sentry Exteriors has put together a list of common signs of hail damage, to help you locate and ultimately address this particularly annoying issue. Many homeowner insurance companies cover hail damage on your roof but adjusters won’t simply accept a report from you telling them that your roof is in disarray. In order to settle a claim, most companies will require a thorough inspection by professional roofing contractors to determine the extent of the damage and how much coverage they can offer. While the contractors are on their way to your home, this doesn’t mean you yourself can’t carry out a basic inspection of your roof. Here are a few signs of definite hail damage you need to look out for. Cracked roof shingles. Shingles can crack due to a number of different reasons but if you see cracks right after a hailstorm, it’s likely that the recent weather caused it. Some cracks are thin and virtually invisible, but running a hand through the shingle itself will let you feel any possible cracking. Dented roofs, gutters and gutter guards. Hailstones hitting your roof at 100 mph are enough to dent even the sturdiest of roofing materials. Dents on the surface are pretty easy to find and they are a sure sign of hail damage. Exposed roofing, bubbling and bruising. The force of impact of hailstones is enough to knock shingles off the roof which means exposing the roof itself. Bubbling happens when the surface of your roof becomes uneven, as if bubbles of air have formed under it. Bruising is quite similar to dents but they do include discoloration as well. Call Sentry Exteriors today at (434) 333-7753 or fill out our online form to schedule an appointment for hail damage inspection. We serve Roanoke, VA, and nearby areas.